Looking more an experienced campaigner than a youngster making his career debut, the Greg Eurell-trained I Did It Again was backed with confidence in the ring and did not let his supporters down in the open juvenile event at Caulfield on Saturday. The son of Nicconi was given the run of the race by Nikita Beriman. Scraping the paint all the way, I Did It Again showed an impressive turn of foot, coming clear in the closing stages to defeat Godolphin’s promising Bandipur by one and a quarter lengths. “It’s always nice to see them confirm in a race what you see them do at home,” Eurell said. 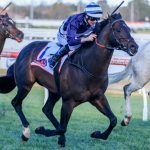 “He bounced into a good spot and he’s very professional – he’s a horse that can make his own luck and that plays a big part. A half-brother to dual Group III-winning mare I Love It, I Did It Again was bred by Eurell and is owned by his wife Danielle. “I think he’s going to make a nice horse so we’ll have a think about where he goes next,” Eurell said. I Did It Again is the sixth foal of the tough Foxhound mare Not That Innocent a Melbourne winner of four races from 26 starts. 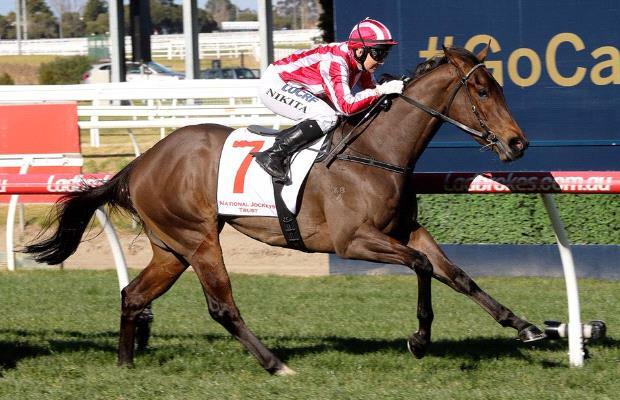 Her best to date has been I Love It, a 4-time winner including a pair of Group III races in Tasmania. Widden Stud’s Nicconi has had a fine season with his two-year-olds. His six juvenile winners are led by Group II VRC Sires’ Produce Stakes winner Sircconi and Group III SAJC Sires’ Produce Stakes winner Time Awaits. Nicconi stands at a fee of $16,500 in 2017.